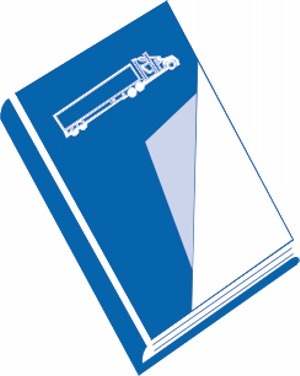 In business since 1987, Mike Byrnes & Associates, Inc., is a professional group providing instructional material for trucking, passenger transport and heavy equipment operation. The network of writers, editors, educators, artists and field specialists represents extensive truck driver education, writing and editing experience. In addition to publishing textbooks and manuals, Mike Byrnes & Associates, Inc., provides a consulting services in the areas of school start-up and management and curriculum development. After a full career in the US Navy as an instructor and equipment manager, Mike Byrnes served as program coordinator of Central Vo-Tech, Drumright, Oklahoma's Truck Driving and Heavy Equipment Operators Program, winning a Department of Labor best post-secondary program award. He consulted and developed curriculum for the Association of General Contractors. As Director of Education for the nation's leading and largest private combination distance learning and residence training school, he managed the resident training sites across the nation and the rewriting of students' distance learning manuals for both heavy equipment and truck driving programs. Devorah Fox served as a publicist in various fields. She has written and edited books, newsletters, manuals, magazines and newspapers. She supervised the student services department and edited the students' distance learning manuals for the nation's leading private combination distance learning and residence training school. Fox and Byrnes joined forces in 1987 and have developed curricula and training manuals for private schools, corporations and government agencies, as well as a series of test preparation books for Barron's Educational Series, Inc.
John Roajs has decades of management experience which includes successfully developing two truck driving schools, managing all operations and developing curricula for both entry level and experienced drivers. He has recruited and supervised the training of thousands of entry level drivers, hired and trained driving instructors, purchased and maintained all equipment to comply with D.O.T. Regulations. As Mike Byrnes & Assoc., Inc.'s Education Specialist, John stays up-to-date on the federal motor carrier safety regulations and industry developments. He represents the company at truck shows, conventions and the public and private school associations, serving on boards and committees. He also started and maintained a successful trucking company.